How to create horizontal bookmarks bar with folders (like Chrome, Firefox, etc.)? I'm more comfortable with a toolbar containing my bookmarks, in folders. 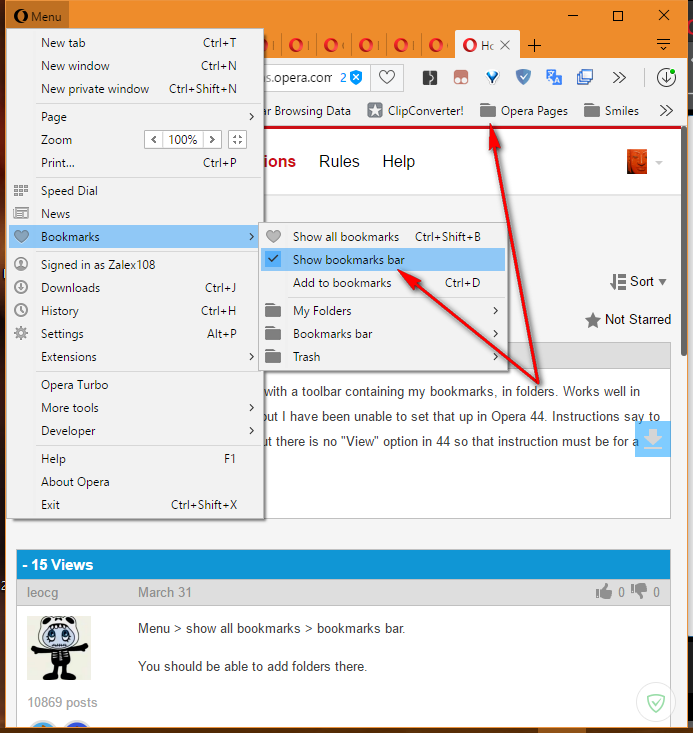 Works well in Firefox and Chrome, but I have been unable to set that up in Opera 44. Instructions say to go to Menu > View, but there is no "View" option in 44 so that instruction must be for a prior edition. Menu > show all bookmarks > bookmarks bar. You should be able to add folders there.